From the Baldwin County Courthouse, go west on Hancock St. which becomes Highway 49 and follow Highway 49 south for 6.6 miles from the Courthouse. Turn right on Pettigrew Rd. Go 0.4 miles to 144 Pettigrew Rd on the left. Turn left into the driveway and drive 0.1, over a dam and between 2 ponds, to the residence. 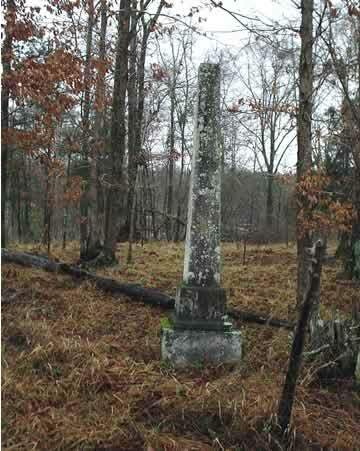 The graves are about 200' to the right of the house, on a rise.